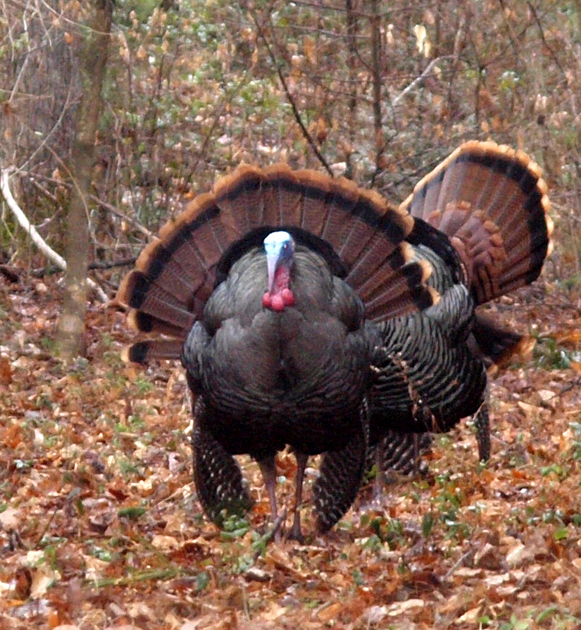 You can hear the sound of the Wild Turkey in the distance with the April birdsongs filling the morning air. 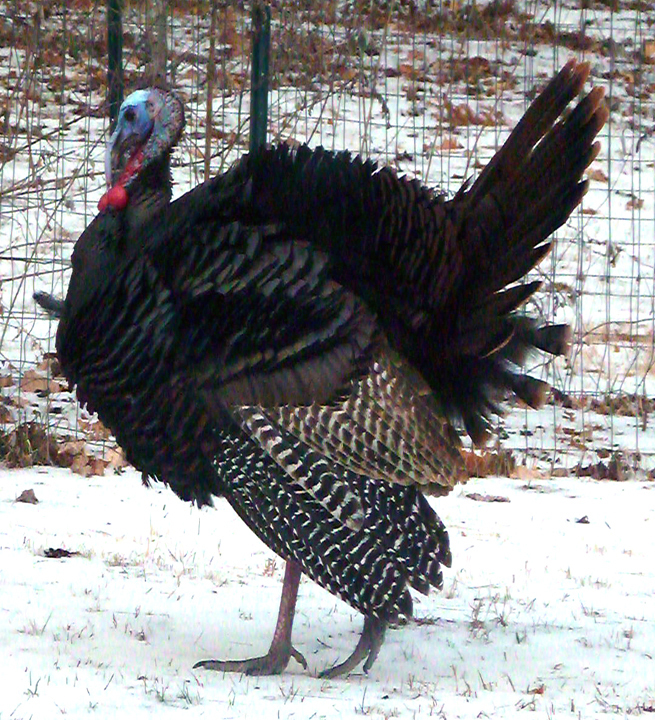 The Wild Turkey was a very important food animal to Native Americans, but it was eliminated from much of its range by the early 1900s. Introduction programs have successfully established it in most of its original range, and even into areas where it never occurred before. 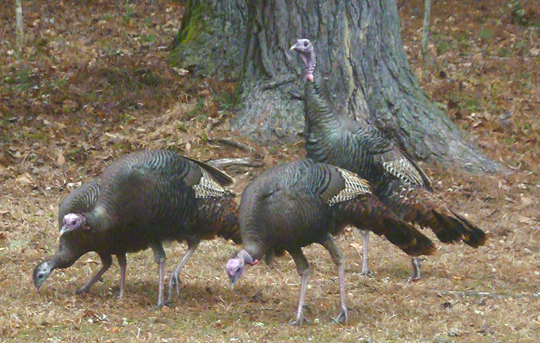 Since we moved to Western North Carolina, we have seen flocks everywhere, including on neighborhood roads. 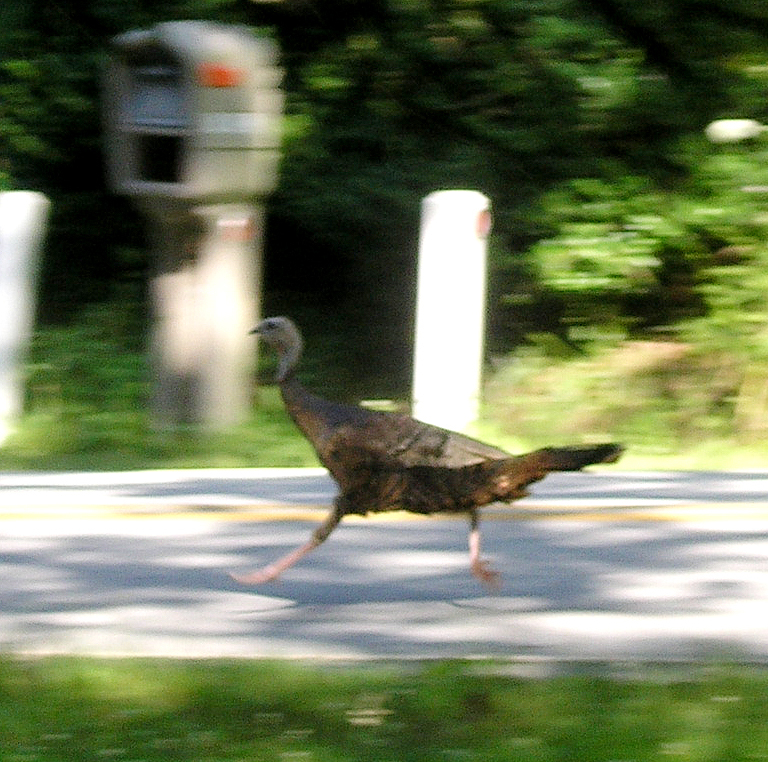 The photos on this page show one running past our mailbox and a large flock that visited our back yard from Winter to Spring, 2014-15.